These are some of the designs I've been working on for my new website. I stay up into the weee hours of the morning, trying to create the look I want. 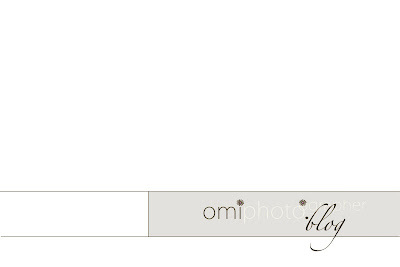 I like them, but who knows, I might be really embarrassed in a few weeks...this is one of the watermarks. 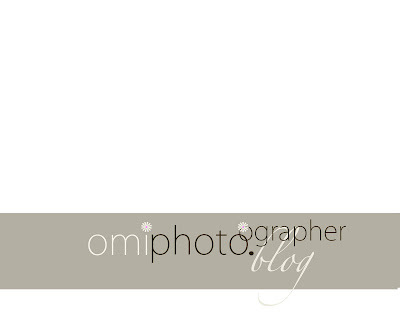 I have decided to go with OMIPHOTO.COM and OMIPHOTO.BLOG. Growing up I always could differentiate friends from acquaintances by, what they called me. To family I was always Omi, so close friends always knew me as Omi. In school and other formal situations.....and a few years of teenage angst....I tried to loose the Omi thing, but to no avail. 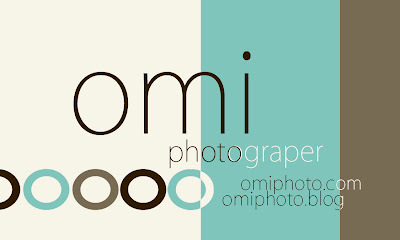 I am still Omi...or Oms or O..(seems to get shorter and shorter.) Conceptually, I want my clients to truly think of me as a friend, so it makes sense. It's original, it's available (website url) and I think I can really brand with a it. BUT CHECK IT OUT!! I posted these up, because in true Omi fashion.....I've got a spelling error. I spend hours on design..but you think I can get through with out misspelling something...it made me laugh, so I thought I'd share with you. FYI..I often misspell PHOTOGRAPHER....as photograper...I think it's my typing. I hope it's my typing. YEAH.....did it again. SHHEEESH! Go to school already! This is the Web layout. Blog water mark...another one... Well, I'd love some feed back or any ideas would help. and I'm not talking about ENGLISH classes or a Spelling test, thank you very much! And if my Brother wants to say something like....."Your blog looks like crap, fix it." I should kindly like him to remember to package it in something nicer....Like....Soooo By the way I was looking at your blog and I though that ......blah blah blah. that'd be great! LOVE YOU KEL! * The vertical business card (is that what it is?) is prob my fave. It has visual interest and clear organization. 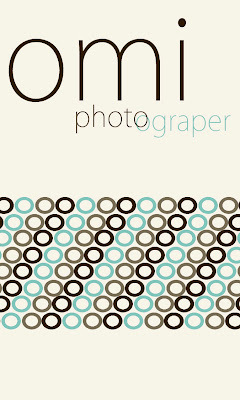 * The second "o" is not necessary if you are going to have the word "photographer" in two different colors. * The black/brown/cream color scheme provides a great foundation for a seasonal change, should you change your mind (swap out that aqua for a different color when you feel like doing logo makeover without totally sacrificing your branding). Hope that was helpful and not just a bunch of hot air. ps: I'm almost positive we've met in real life, I just can't remember how.